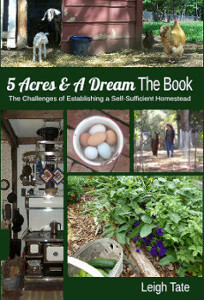 5 Acres & A Dream: Happy Agrarian New Year! Something that has always seemed odd to me is that the beginning of a new year is in the middle of winter. That isn't strictly true of all cultures in all time periods, but it's been standard enough for long enough that I doubt few folks give it a second thought. When I read Eric Sloane's The Seasons of America Past I learned that the old agrarian calendar began the year on March 25. This makes sense to me! So here I am, wishing you a Happy Agrarian New Year. The roots of this go back to the ancient Hebrew, Canaanite, and Babylonian calendars, where the first month started in the modern late March. The early Romans celebrated the new year on March 1st, but this was changed in 45 BC with the Julian calendar. It made January 1st the beginning of the new year. The best I can figure out is that this was done because the month's namesake, Janus, was the god of new beginnings. When Pope Gregory XIII had the calendar revised in the mid-1500s January remained the first month. The Gregorian calendar is the one we still use today, but March 25 remained the start of the new year in parts of Europe for a long time. England was the last holdout until 1752. According to Eric Sloane, early European American farmers continued to use March 25 as the first of their year, as documented by old farm calendars, almanacs, agricultural manuals, and personal diaries. With March as the first month, the quarters of the year make sense because the seasons correspond with the work for that time of year. As you can see, the rhythm of the agrarian year is set by a relationship with the seasons and with the land. Last November I asked my readers to define agrarianism off the top of their heads (that post here). I promised to get back with you on what I thought, so this is the first of a series of posts exploring that. My understanding of agrarianism is that it isn't simply agriculture, it's a worldview. What is a worldview? It's how an individual perceives the world and the way it works. It answers life's fundamental questions about the existence and nature of God, the origins of the universe, the place and purpose of humans, what happens after death, and how we determine right and wrong. Obviously there are many worldviews. Agrarianism is the one that makes the most sense to me. The agrarian new year had it's own traditions in the rural US. It was celebrated with mead, and cider and doughnuts. It was the time to begin looking ahead to planting, with one of the first chores of the year being fence mending. It was also time to begin the laying up of the next year's firewood and splitting logs for fence rails. In the north it was (and still is) maple sugaring time. Dan and I didn't have any mead, cider, or doughnuts, but we have been looking ahead to planning the planting season. Of course that includes the garden, but also we're been planning to expand our hay growing. We're going to work on our hedgerows and continue pasture improvement. Last week he cut the first tree to start curing for next winter's firewood and we have indeed started working on our fences. Some of them are in bad need of repair! Of course, our spring begins earlier than others. And those who live south of the equator will be in the opposite season! But we all adapt, don't we? How about you? Do you have seasonal traditions or tasks for March? Interesting post. I never gave a thought as to why January was the start of the new year. Expressed the way you did - I agree. March is right. I guess I have always agreed with the Romans. For me, the beginning of the new year always starts with spring arriving in March. I think my brain secretly agrees because it generally takes me until March to write the correct year on my checks. I was thinking about the southern hemisphere being opposite. Glad to see you mentioned it. Not sure if you have any Aussie or NZ followers! We're in Nothern Lower Michigan, where we still have snow melting and mud, mud, mud from the huge amounts of snow/ice/snow/ice we had this winter. Normally we have a full thaw sometime in Feb, then several smaller snowfalls, but there are usually breaks for the melt to soak in. Not this year! We're still averaging in the 40's during the day, teens to 20's at night. That does allow for some freeze dry evaporation, but not enough for what we've got this year! I haven't started seeds yet, maybe this week. Typically the safe planting season for tomatoes and other tender plants is Memorial day. I'll direct seed some spinach next week if the ground is warm and dry enough. Note to self, Ask my hubby Dan to put some of the salvaged patio doors over the raised bed planters to help warm the soil. I'm disabled, so the last few years my garden space has been much smaller, but more intensely planted. I have to use a walker, so I found a use for the broken water troughs here on the farm. I have six 100 gallon ones which If set up somewhat like hugelculture gardening, with rotting logs in the bottom 3rd to hold water, then layers of compost, composted horse manure and some soil from my old garden area. Last year was my first year growing this way and I was delighted at how much less I had to water. My tomatoes - my largest crop as I grow at least a few plants each of 8 varieties - had stems almost 2 inches in diameter! The challenge is keeping them and my cucumbers pruned correctly to encourage flowering and airflow because they are planted closely, but limiting the height given that the troughs, hence "ground level" is actually 2.5-3 feet above the ground. I used to use 4x16 ft cattle panels to trellis my tomatoes and cukes, but last year I used some wire fence which had 4x6" openings to allow getting a hand through to pick things. It was staked down the length of the troughs in a sort of compressed S shape to allow as many plants as possible to be tied to it. Wow, don't know why I got so chatty this morning! I do appreciate reading your blog! I had never given it a real thought, but sure can see thinking the way you do. This was an interesting read, and also the comments were fun to read. Gorges, well, in Genesis it says that God made the lights in the sky to be signs, seasons, days, and years. So it makes sense to start the new year based on their positions, doesn't it? Ed, lol. Maybe that's the reason it takes me that long too. Rose, I probably wouldn't have either if it hadn't been for Eric Sloane's book. It's really an interesting read. Starting the new year in March makes perfect sense to me! Do you think it makes the same sense to non-gardeners/growers? Wonder if any of us will live long enough to see a change of the New Year made from January to March? Nah . . . I am right on board Leigh - and happy New Year to you and yours too. I have known the year starts sometime in March forever, but until now I was the only one I know that felt this way. Now... can you and your colleagues confirm my flat earth theories as well? Mind your digging in the garden, lest put a hole in the earth and fall through. I was hoping to be settled into my new place and getting fencing up for new Kinders, but that's not happening this year. We're in a rental but I've decided to not let it stop me from gardening. I have a bunch of grow bags, some self-watering planters. The house also has a few beds but the owner has plastic down on them so it'll take a bit of work to get them ready. Oh well, I'll be planting cold weather crops next week!!! They're spending this week acclimating. The warm weather crops can't go in until early May, but they're downstairs under the grow lights getting big. I hope you have a wonderful season, Leigh! Leigh, that makes a whole lot more sense. January is a stupid time to start the New Year. March makes far more sense. Especially when we depend on the earth for food. I am all for being on board the train you are riding. Two things make no sense to me January being the first month of the new year and the dreaded daylight savings time. Take this year for example. Here we are almost the last of March in our laps and what is it doing? Raining and cooler. Why not declare Spring the first Saturday in April? Because we seem to be having cooler, wetter weather all through March more and more often. The let us slay the dragon of time change. When the clocks "sprung" forward (and it gets earlier each year it seems) we went from waking in light to still being dark at 6:30 AM. If we were to let it all go (and for those that haven't noticed DST is now with us almost 9 months a year) the sun would rise earlier and sets later by nature. But is is kind to your body rhythm and doesn't leave some folks ( me included) suffering from jet lag for about 30 days after it all sets in. My last DST rant is folks who walk around proclaiming I have more time now. Well no you don't . There are 24 hours in a day period. Altering your clock will never change it that. Otherwise you are just rearranging deck chairs on the Titanic. 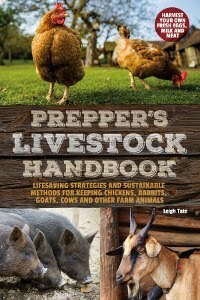 Interesting read Leigh good job! Goatldi, don't get me started on time changes! Talk about stupid ideas. I suppose it makes sense for those who are slaves to the clock, but those with livestock know that the critters don't care! The farmer who shows up an hour late with the feed may find themselves faced with revolt! I did hear a blip on the news that they are thinking of making DST permanent(????) Hopefully that wasn't just a dream. Interesting read for sure. I had no idea about most of it. There is always talk here of making DST permanent. Which will be fun.... Right next to Georgia state line which Is Eastern and we are Central. So right now it is 6 here 7 there. So if we don't "fall back" and they do for half the year it will be 6 here and 6 there. So for people who cross the state line for work, it would mean different times leaving for work depending on what time of year it is. Does not bother me either way, but will for sure be interesting. Sheryl, thanks! I hope you have a wonderful day too. Hi all. In most farm operations we use the agrarian calendar as opposed to the anual calendar for all our budgeting, cost analysis and in general planning and reporting. It’s quite normal to have these 2 calendars talk to each other as the fiscal year for tax purposes work on the anual calendar and farm operations as any other business, must also pay their taxes. Happy Agrarian New Year! :) I think the Agrarian calendar makes a lot of sense for people like us who live by the seasons. In my spirituality, November 1st is the new year (Pagan) because the hearth days commence. But basically it's the same idea, live by the seasons. The Gregorian calendar is so entrenched in society though, I still say Happy New Year on January 1st even though my own new year is on a different date!! !